Have you ever dreamed about having a slice of paradise? If so, look no further. You'll find it here in this 1 bedroom / 1 bath, top flr oceanside beach hideaway! Views & lifestyle to love! It's fully furnished - turn key move in ready. This includes all appliances w/ stacked washer/dryer, brand new refrigerator & newer HVAC system plus hurricane shutters to keep it all safe! 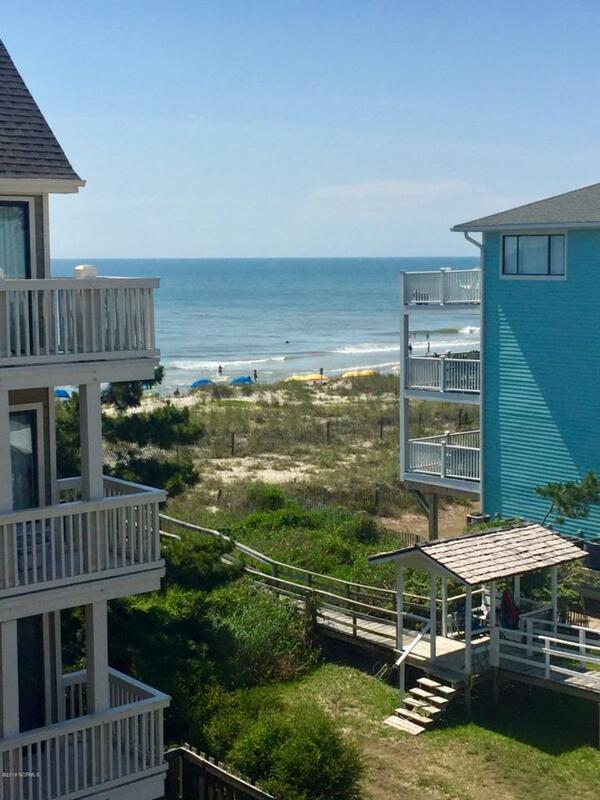 Would make a super weekend getaway, or buy it for your college student and later, turn it into a great beach vacation rental - weekly & monthly rentals allowed! You'll enjoy nice ocean views from yourdeck, there's a private beach walkway with shower & beautiful oceanfront pool for you to relax, unwind and let your cares float away. Truly a cozy beach getaway w/ it's wrap around deck & private master BR deck. Ground level storage, covered parking available, great location that allows access to beach w/ no street crossing - this property has everything needed to enjoy the beach at a price that's still affordable! Listing provided courtesy of Sandra Bullard of Bullard Realty, Inc..